What was a Nazi concentration camp? Our research shows that students have a limited, often Auschwitz-centric, understanding of the Nazi concentration camps that developed from 1933-45. The lesson plans and resources available here are the result of a unique collaborative project with Professor Nikolaus Wachsmann at Birkbeck College, University of London, which places his recent ground-breaking research into the classroom. This resource contains three lesson plans and accompanying material that seek to use the resources contained on the http://www.camps.bbk.ac.uk website. 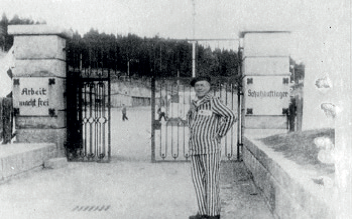 These archival sources aim to counter misconceptions students commonly hold about the nature of the camps, how their evolution reflected the changing contingencies of this period of history, and the implications these hold for Holocaust education. • What was a concentration camp? • The first SS concentration camp: How did Dachau change between 1933 and 1945?